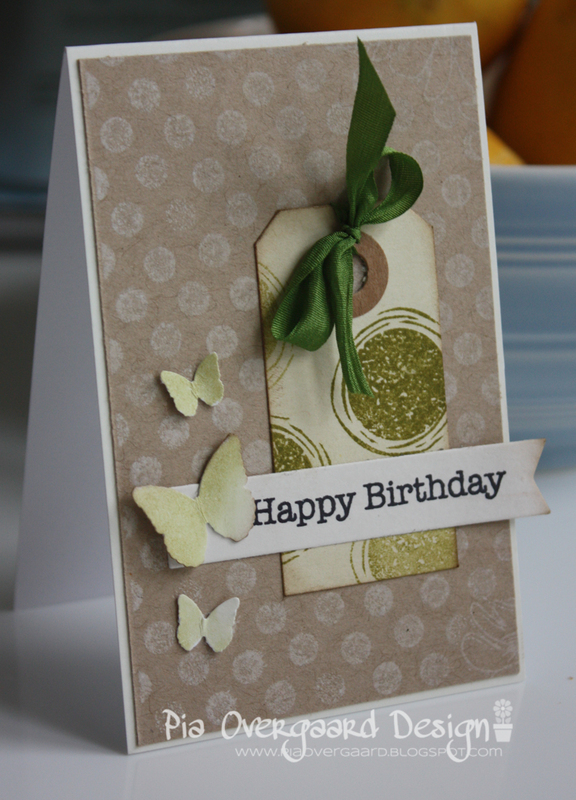 The little tag was the stamped piece on this card. 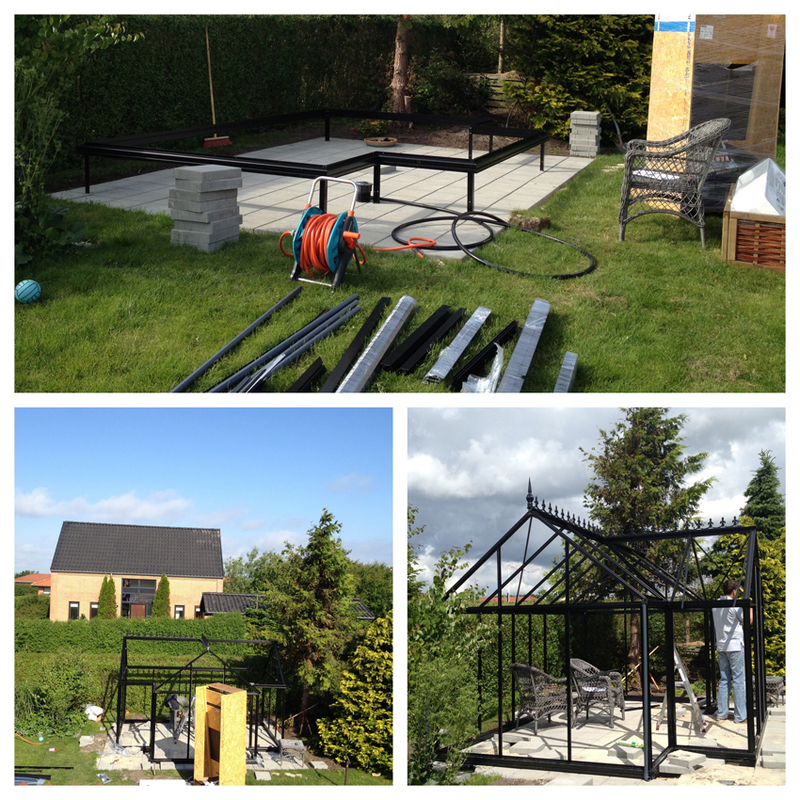 And I have to show you some pictures from my latest garden project. Jan, my husband did most of the work by himself. I am so proud of him! He did a great job. I have always wanted a greenhouse - but I just couldn't find the place in the garden - untill my husband suggested this spot - which was perfect for this kind of greenhouse / orangeri. 1. Getting ready for the sand to arrive - Harry Potter is checking it out. 2. The outdoor tiles have been laid down. 1. The house arrived - lots of items - like lego for grown ups. Will we manage? 2. Looking out the window from the 1st floor, on day 2 in the morning - I was so surprised. Jan got up very early!! 1. Almost finished - it is a bit late for this season - I got 4 tomato plants from a colleague and I have big plans for the next season - meanwhile we shall enjoy the flowers. 2. Made some deco with my silhouette for the table. 3. The cats already love the place and ofcourse they have their own little place. love the greenhouse as well as the designs of the cards! 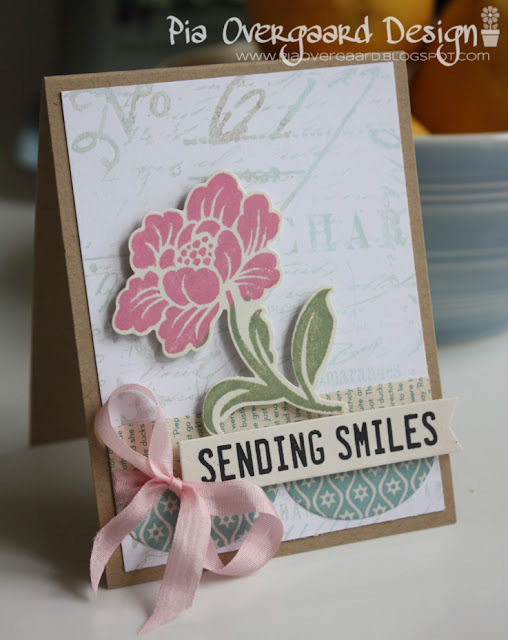 Wonderful cards, love that pink flower.